…is what my kitchen reeks of as we’re speaking. 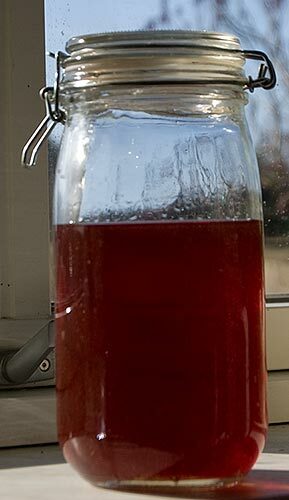 From this jar which I prepared in August and then completely forgot about, filled with flowers of St. John’s Wort. I suppose technically they can’t rot infused with alcohol, but the colour is definitely not the brilliant red it was in September. I know Rita Buchanan says you don’t get interesting colours with the alcohol solution, but I didn’t find enough flowers per day to make boiling worthwhile. 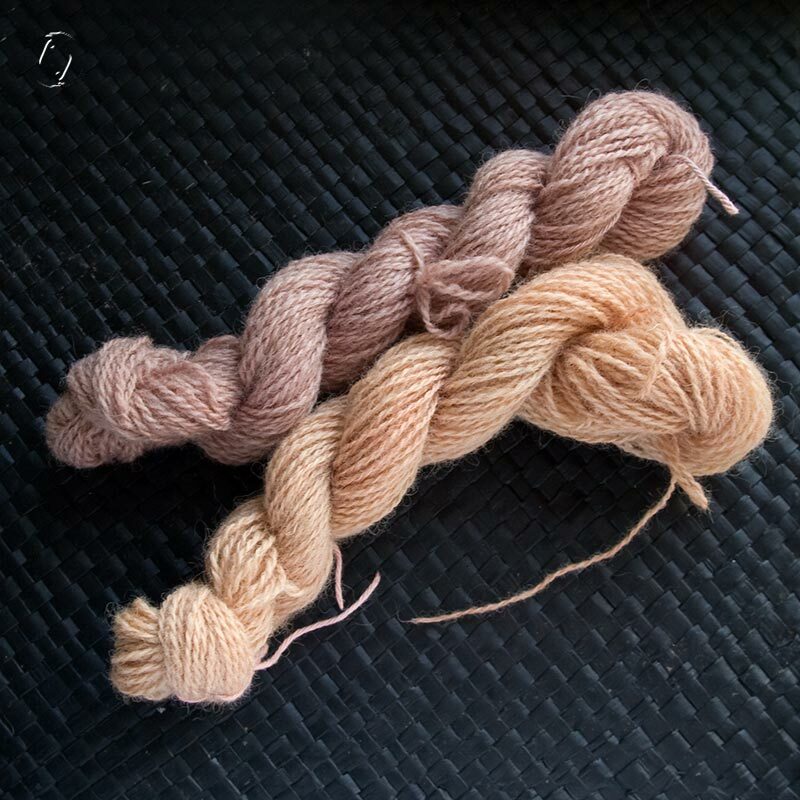 I also didn’t have any mordanted yarn, so I did a reverse, first I entered an unmordanted skein and left on the woodstove for a few days, then I put mordant in the jar with another skein, left it on the stove, then decided to boil it in the oven for an hour or so. Well, they’re not alike. That counts for something, right? First on top. I used only flowers. And since I put alum in the jar for the orange coloured skein, I don’t think I’ll be using it on my skin. I’ll remember to try that next summer, though! 🙂 I’m hoping the plants will have spread, so that I can pick more per day. Jeg håber også at få blomster nok til at farve en gang rødt med til sommer. MamaLadka er totalt inspirerende dér. Og planterne spreder sig meget. Min lille pjort er blevet en stor plante på et par år. Den sjlal jeg inde på parkeringspladsen, hvor de kommunale lugere uden held havde forsøgt at slå den ihjel. Den bad da om asyl, ikke? oh, lovely none the less!!! And what a picture, vodka and kitten farts! Oh they are pretty, Pia. Worth the smell, perhaps?